Firstly, you must examine the propose of a cover letter, they have the power to make or break your job seeker success. A generic, untailored cover letter can mean your CV never even gets a glance, while a long-winded cover letter can leave the hiring manager uninterested. 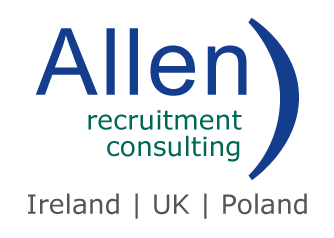 A job seeker can spend 1 – 2 hours updating their CV in relation to the job they are applying for, to then, regurgitate all that information into their cover letter. Frequently, a candidate views a cover letter as the runner-up, but this is not the case. A cover letter is your stepping stone to getting your CV noticed and a means to making your profile stand out. The number one mistake with cover letters is just reiterating what you have already put on your CV. Instead, match your skills in relation to the job you are applying for. Delve deep into your skills and experience and speak about your personal qualities which you haven’t yet mentioned. Next, move on to any holes in your CV, perhaps you took a year out, or did a very random degree, explain the relevance of this in your cover letter. 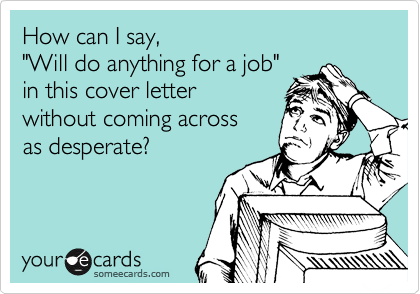 Cover Letters can be very easily predicted, my name is…. I am applying for…. I have experience in…., of course all these statements are worth adding in. However, depending on the job you are applying for, why not add in a little creativity. Lets say you are a coder or a developer, why not add a coding riddle into the mix, gaining the hiring managers attention. Perhaps, you want to completely step away from the normal format of your average cover letter, using very little text, and illustrate your experience with diagrams and graphs, making your cover letter stand out for the right reasons. Just like you CV, one size does not fit all. Examine the job you are applying for and use your cover letter to explain how your skills will be used for that job. Using buzz words that the company exercise on their website, or in the job advert will help with this. Are you applying for a management role, if so give a leadership example, use your previous work to solidify your fit for the job you are applying to. Overall, research has shown the majority of hiring managers prefer a cover letter to be 3 – 4 paragraphs and easily fitted on to one A4 page. As challenging as this may sound, the longer you make it, the less likely it is to be look at. A short cover letter means two things, you have no room for waffle and you haven’t had the space to come across over-confident. To finish, close out your cover letter with a strong statement, which will keep you in the hiring managers mind. Let them know you will hit the ground running from the get go and that you want a chance to meet, to further explain how you could enhance their company with your experience. Furthermore, be sure to include a call to action, you will follow up with a call next week or you will await on their reply. Don’t leave yourself open to confusion on who is contacting who.